Cultural Compulsive Disorder: Is 'Beasts Of Burden' Finally On Its Way To The Big Screen? 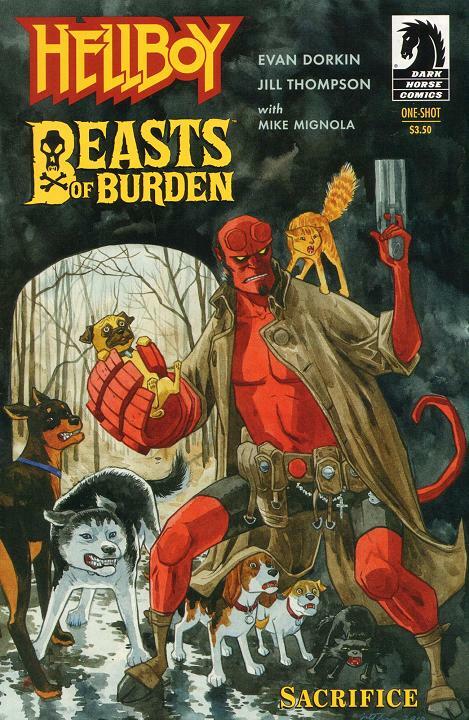 Is 'Beasts Of Burden' Finally On Its Way To The Big Screen? The project is an animated adventure about the baffling behavior (tail chasing, barking at “nothing” at all) of our favorite four-legged friends. In the charming town of Burden Hill, there might be more to these animal antics than meets the eye. 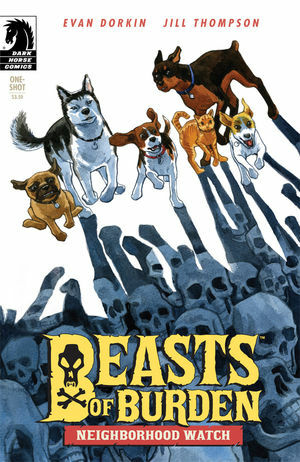 The town is inhabited by the supernatural, and when its paranormal activity becomes even more abnormal than usual, it’s up to a group of fearless canines called the Watch Dogs to protect its citizens – and humanity – from the mysterious things that go “bump” in the night. Acker is the latest filmmaker Reel FX has attracted to its growing animation slate, which already includes the Day of the Dead-themed project, The Book of Life (Guillermo del Toro producing/Jorge Gutierrez directing), which will be released in theaters by Fox Animation on October 10, 2014; and Turkeys (Jimmy Hayward directing, starring Owen Wilson and Woody Harrelson), which will be released in theaters on November 14, 2014 by Relativity Media. Reel FX recently announced that Warner, the Academy Award-winning producer of the animated blockbusters Shrek, Shrek 2 and Shrek the Third, had joined the growing movie studio as President of Animation.